Journey wisely. This quote is profound in the sense that it advises to let things go, chose things that matter most to you, and don’t dwell on unecessary things. Because we know that we can’t do everything we want or everything that needs to be done in 24 hours, especially if you’re counting sleep. 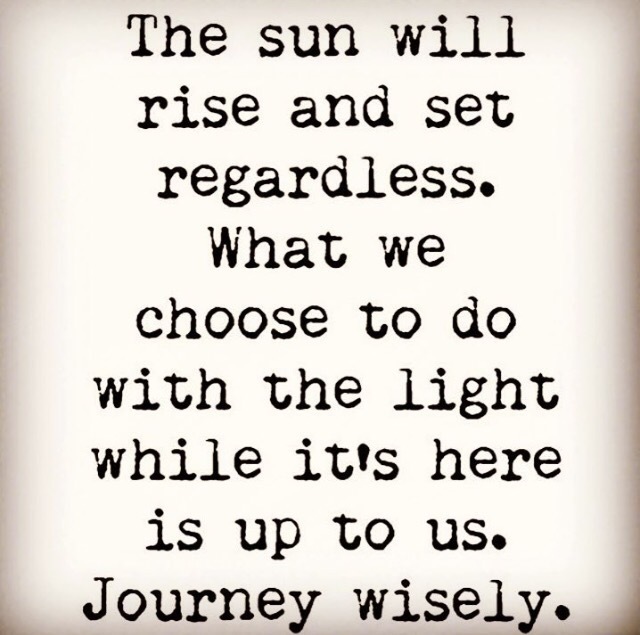 So, if you want to “journey wisely” you need to know your priorities. I love how it implies that requirement.